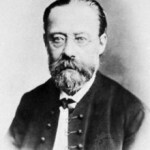 Bedřich Smetana (1828-1884) is known as the “Father of Czech Music”. Throughout his life, he composed music that was based on themes, stories, heroes, and the dreams of the Czech people. 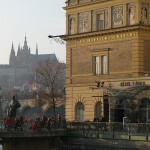 Smetana Museum. 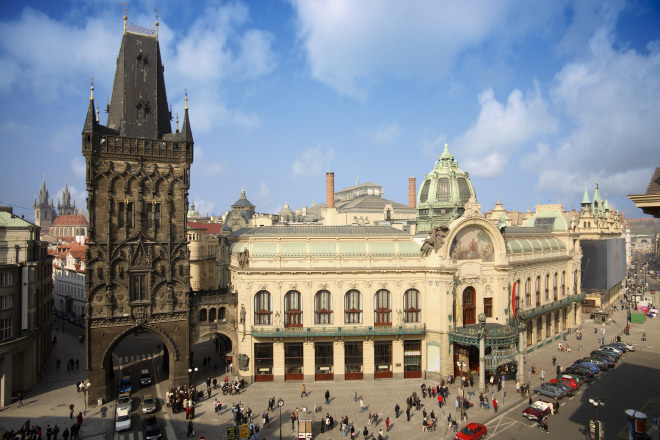 Smetana’s best known work is “The Moldau”, based on the Vltava River as it flows through the Czech lands and into Prague. 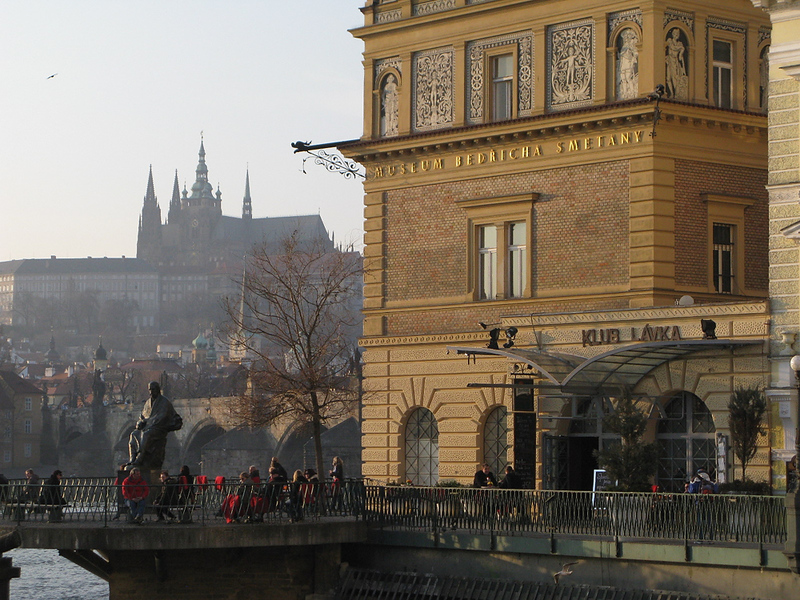 Fittingly, the Smetana Museum is in the Water Works building on the river right next one of Prague’s most visited attractions, the Charles Bridge (over the Vltava). 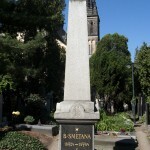 Smetana’s Grave. The Czech master is buried in the cemetery at Vysehrad Castle quite close to Antonin Dvořák. 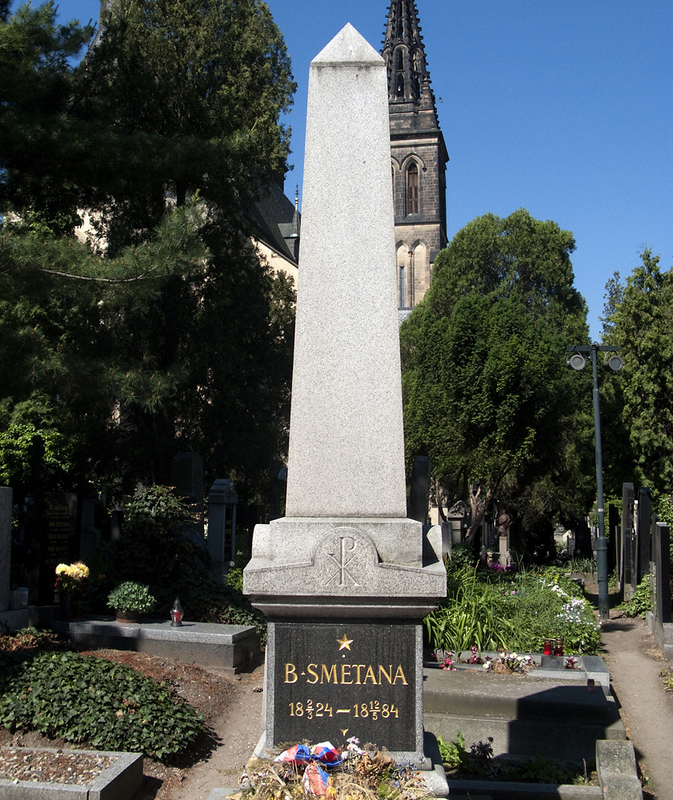 Smetana is given a prominent place here, almost directly in front of one of the main entrances. Smetana Hall. Prague’s Obecní dům (Municipal House) is a wonderful example of Prague’s Art Nouveau architectural style. 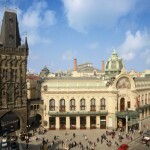 Among great restaurants and meeting rooms is a stylish concert hall, approproiately called “Smetana Hall”. 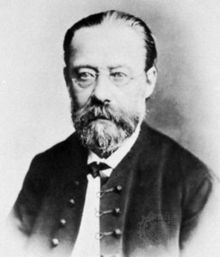 Read Dr. Nelson’s blog on Smetana, “The Moldau”, and his deafness.